Full-page, full-color reprints of famous paintings are accompanied by brief historical and biographical commentaries about the paintings and artists. First book of the Come Look With Me Series. 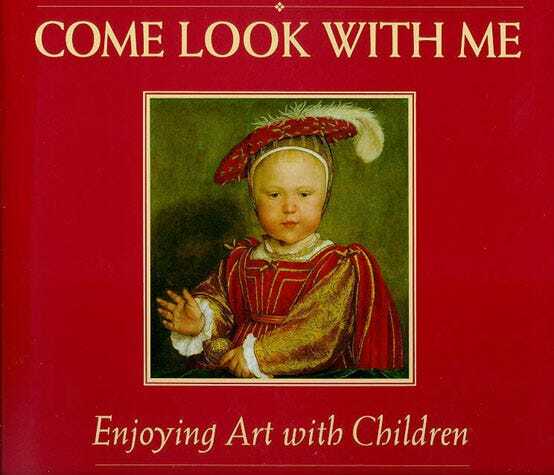 Perfect for elementary-aged children, Enjoying Art with Children pairs quality art reproductions with thought-provoking questions and encourages children to learn through visual exploration and interaction. Thoughtful text introduces the world and work of the artist making the most of a child's natural curiosity. The premise of Come Look With Me is simple. We look at and study a famous painting. While we are looking at it, I read a bit of history about the author and the painting itself. Then there are some discussion questions to promote a deeper understanding of the picture and art in general. On our first day, all my son wanted to do was run through the book and look at all the pictures quickly. He didn't want to focus on one only and then have to answer questions about it. I forced the issue and we completed the assignment with a lot of grunts and groans, but nothing more. I thought this would be a waste of time.